The ICV offers you the chance to exchange ideas with controllers and managers across Europe and actively engage in work groups. The International Association of Controllers was the first of its kind to be established in 1975 by graduates of the CA controller akademie and CA founder Dr. Dr. h.c. Albrecht Deyhle and current ICV honorary president. Together, the CA and ICV have since shaped and set standards in controlling in the German-speaking world. 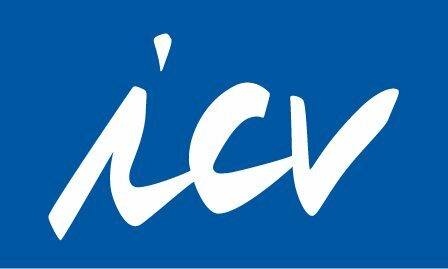 Meanwhile, the ICV numbers more than 6,000 members throughout Europe, is active in more than 30 countries and is regarded as the leading center of controlling competence in Europe. The ICV is a community for all who are concerned with controlling. It promotes the exchange of knowledge and experience between controllers and scientists, students and managers, professors and CFOs. As a non-profit organization, it supports its members both in their work and personal career development. A strategic partnership has linked the CA and ICV from their inception. CA board member Dr. Klaus Eiselmayer also holds a seat on the board of the International Controller Association, CA trainer and partner Prof. Detlev Zillmer works on the board of trustees. The Controlling-Wiki, a digital reference work for controlling terminology is supervised by CA trainer and partner Dipl.-Oec. Guido Kleinhietpaß. CA graduates enjoy various opportunities to take advantage of ICV benefits. ICV membership entitles holders to admission to ICV events on special terms and a chance to exchange ideas with other CA graduates in the ICV network. And also, for instance, within the framework of regional, sector- or subject-focused work groups, members of which include CA trainers. At the annual Congress of Controllers, the largest specialist conference for controlling in the German-speaking world, there will be an opportunity on 13th and 14 May 2019 in Munich to find out about current trends and to exchange ideas in the community. Along with the Controller Magazin, the CA and ICV publish the Controllers E-News, a free newsletter with specialist information on current controlling issues. As founder members of the International Group of Controlling IGC, the CA and ICV work together to promote awareness of modern controlling and are committed to fostering the interests of all controllers.